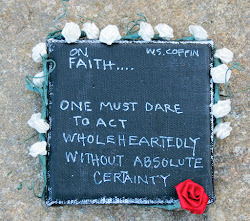 Today, I am writing my first blog, and I am bubbling over with excitement. 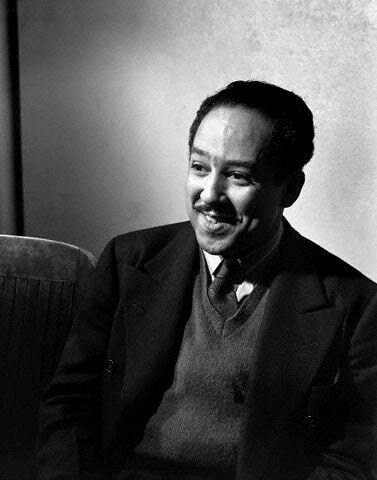 I am calling this blog THE BIG SEA after a very important person in the literature world: Langston Hughes. In his autobiography titled The Big Sea, Langston states that "Literature is a big sea full of many fish." This quote just about sums up my feelings about literature. There is a "fish" out in the "big sea" for everybody. This season, Oprah selected the novel A Tale of Two Cities by Charles Dickens, and I must admit that I am a sucker for the classics. This idea struck me as I was driving to my job that I absolutely love, a high school English teacher, that using Oprah and her book club was a fabulous way to get my students interested in reading this classic novel. As I scurried into school, I was soooooo excited. I knew that I needed to pitch this idea to the students in a way that would make them feel that they were making the decision to read this novel, and this would put the responsibility of mastering this text on them. I marched into the classroom and told the students that they were very bright students whom I wanted to challenge more. I let them know that I wanted them to read a novel and share their ideas with the world through the Oprah website. I also let them know that I really, really, I mean really was hoping that Oprah would see our posts and invite us on the show for this last and final season. The students loved the idea of reading with the world and sharing their ideas with someone besides me. I printed the questions and bookmarks from the Oprah website and distributed the books. I put them on a reading schedule, and we began the journey of reading A Tale of Two Cities. As we were reading, I used the tips from Oprah's website to introduce new words and idea. Every time that I received an email from Oprah's Book Club, I would let the students know that Oprah emailed me. They quickly informed me that she had emailed them as well since they all had joined the book club. So, we were reading and reading and posting answers to the questions on the Oprah website when out of nowhere I got an email from an Oprah producer who stated that she wanted me to send her my telephone number. I was very skeptical about this email, I mean, a producer wants my number, RIGHT! I forwarded the email to my preacher sister, Tracy, and I knew that she would be able to use her heavenly powers to decipher the truth and let me know if I should send my number. With her seal of authenticity, I emailed my number to a producer for the Oprah Show. Laying on my sofa, on an "Easy Sunday Morning" as stated by Lionel Richie, an unknown number showed up on my caller ID. I normally don't answer those unknown callers, but I thought "This could be someone from the Oprah Show" and sure enough, it was. I jumped off the sofa, and I ranted and raved about my students, the novel, and how we really wanted to be on the show. The producer wanted me to send her some pictures of my students and me. So, I went to school and got permission to take pictures of the students, and I sent them to Oprah. Boy, was the entire school excited: "We were going to the Oprah Show." We finished the novel and waited and waited to hear from the producer. The Oprah Show ended yesterday, and we never heard from the producer; however, the ultimate goal was reached: TO GET HIGH SCHOOL STUDENTS TO ENJOY CHARLES DICKENS. Thank You Oprah, you have had more of an impact on people than you will ever know. AWESOME!! This blog captivated my attention the whole time!! I am glad to know that despite what we hear about in the media, there are still teachers out there who are excited and passionate about teaching our children!! Keep up the good work Miss Stallworth and I look forward to reading your next blog! That's awesome that you got your kids to read, and a classic piece of literature, no less. I tried to get my kids to read "The Great Gatsby" this year. No such luck! Congratulations to you though. Great job! Yonina, I love the Great Gasby. Please try it again next year. Your next year students may love it.